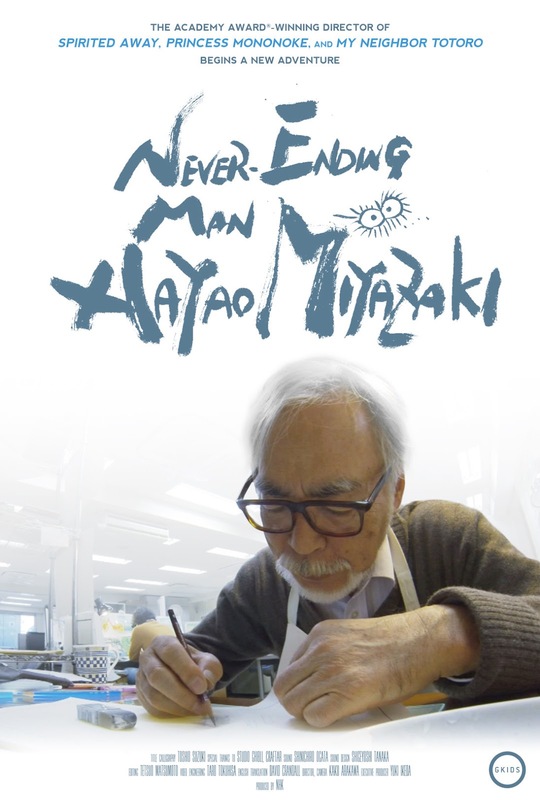 PennsylvAsia: Documentary Never-Ending Man: Hayao Miyazaki (終わらない人 宮崎駿) in Pittsburgh area, December 13 and 18. Documentary Never-Ending Man: Hayao Miyazaki (終わらない人 宮崎駿) in Pittsburgh area, December 13 and 18. The shows are in Japanese with English subtitles, and tickets are available online.